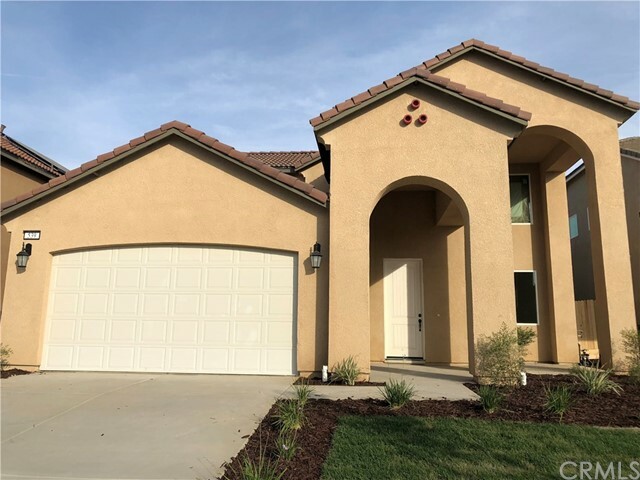 All Madera homes currently listed for sale in Madera as of 04/21/2019 are shown below. You can change the search criteria at any time by pressing the 'Change Search' button below. 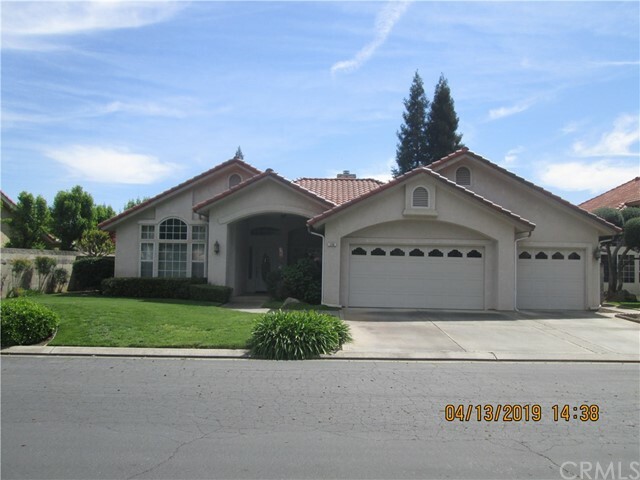 If you have any questions or you would like more information about any Madera homes for sale or other Madera real estate, please contact us and one of our knowledgeable Madera REALTORS® would be pleased to assist you. "Truly a one of a kind ranch that you must see! Complete with a gated entrance to the stunning custom home, 3 detached workshops, a full horse set-up, gorgeous river front and so much more! The 3 bedroom, 3 bath home is a beauty! Lots of windows throughout to enjoy the views, a large living room with a separate sitting area and unique ceilings, dream kitchen with beautiful cabinets and tile work, spacious dining room, office and laundry room. The huge master bedroom is a wonderful retreat with private patio access, windows and a walk-in closet! But wait, the master bath is jaw dropping! Beautiful granite double sink vanity, closet, lovely soaking tub, separate shower and linen closet! This home is just as special outside! The large patio includes views and the 3rd bathroom has direct access to the patio! On this 175+ acres you also have 3 paddocks with covers, feed shed, tack room, round pen, arena and room to ride all day! Enjoy the beautiful river front that flows through your property! There are also 2 cabins, rifle/pistol ranges, 12 GPM well, 5000 gal. storage tank and an easy commute to Madera, Hwy. 99 or Fresno! Truly a rare find home with so much to list!" "Situated on a hilltop, this beautiful 4.5 Acre estate features a freshly redesigned Tuscan Villa, with separate guest house, a large barn featuring a full bathroom, outdoor pool and a breathtaking garden. This entire property has been completely redesigned and remodeled with the upmost attention to detail. The main home features 2,641 sq.ft. 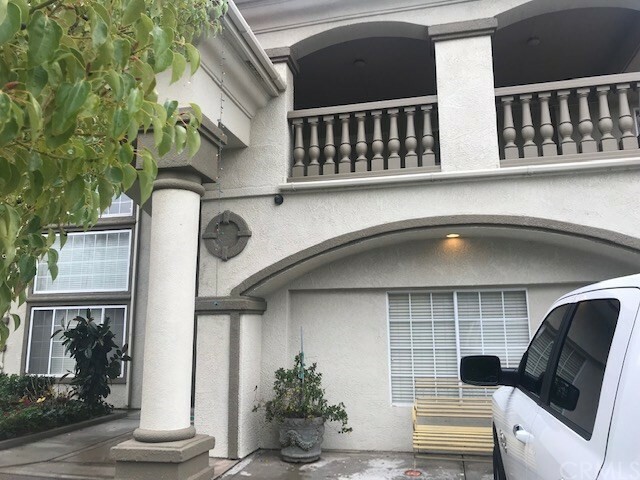 of living space with 4 large bedrooms, 2 full bathrooms, formal dining, living room, large nook, laundry room, enclosed patio and a 2-car garage. The guest house features 1,438 sq.ft. of living space with a large master bedroom on the 1st floor and a bedroom loft on the second floor. The guest house also has a full-size kitchen, living room, laundry room, and 1-1/2 bathrooms. Both homes have been upgraded with new energy efficient windows, doors and trim, mechanical system, electrical system, plumbing system, insulation, appliances, electrical fixtures, plumbing fixtures, and much more. The homes feature knotty alder custom cabinets, granite countertops, undermount sinks, 20 x20 porcelain tile through the living space, commercial grade laminate flooring in the bedrooms, custom tile showers, jetted tub in master bathroom, breathtaking cathedral ceilings in the main house living room, hand wall texture through, crown molding through, stainless steel appliances, LED lighting, custom electrical fixtures, and a gas burning fireplace in the main home. Live worry free with a brand-new water well and pump system." "Horse Lovers Paradise...As you step through the double doors into this magnificent custom built home you realize this is a one-of-kind. Spacious and open floor plan, granite countertops in the kitchen, custom cabinetry, hgh-end appliances, hardwood and aggregate flooring through-out. Large Bonus room for the kids, office/exercise room, spacious bedrooms and custom bathrooms showers. 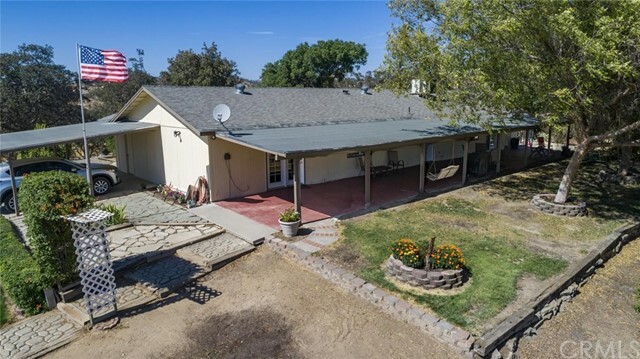 Property offers 5.1 acres, board up to 17+/horse barn w/waterers, pole barn, shed, hot walker, kitchenette w/bathrooms, show arena w/seating, tack rooms, dog kennels, detached garage, RV parking and custom landscaping. A MUST SEE!!!" "Great opportunity! Located on 2.46 acres in town with city sewer and water. The property is located on the corner of Lake and Ellis. There is a church, rectory and a well built pastors large home. The price includes the entire property! Close to schools and shopping. Easy freeway access." "Brand New Continental Custom Home on 2.27 acre corner lot zoned for horses! Come enjoy peaceful country living while taking advantage of the quality construction of this home. Floor plan is centered on great room with cathedral ceiling open to kitchen and formal room, spacious master suite with huge closet and bath area, 3 additional bedrooms, with one bedroom/bath combination isolated for privacy, plus utility room and mud room. Quality features include sharp kitchen with quartz solid surface counter tops, stainless steel appliances, large kitchen island with breakfast bar, pantry, plenty of cabinetry and inviting breakfast nook, wood look plank tile flooring in entry, formal room, kitchen, nook, mud room & hallways; tile flooring in bathrooms and quality carpet in great room & bedrooms. Impressive front elevation includes cultured stone veneers, high pitched roof and sectional garage doors. 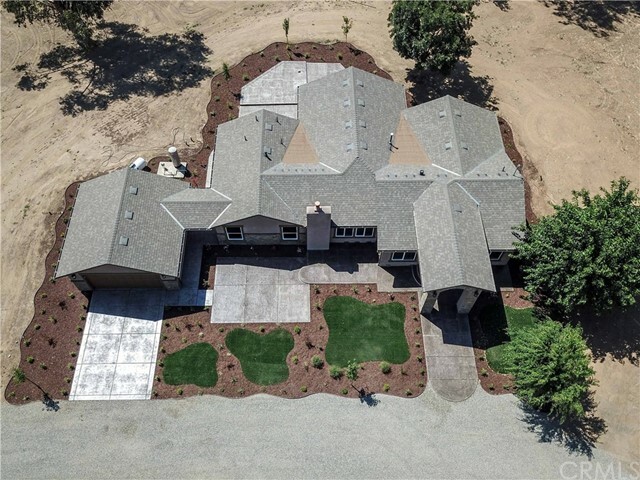 All this plus brand new well & septic systems on beautiful lot with views of the Sierras!" 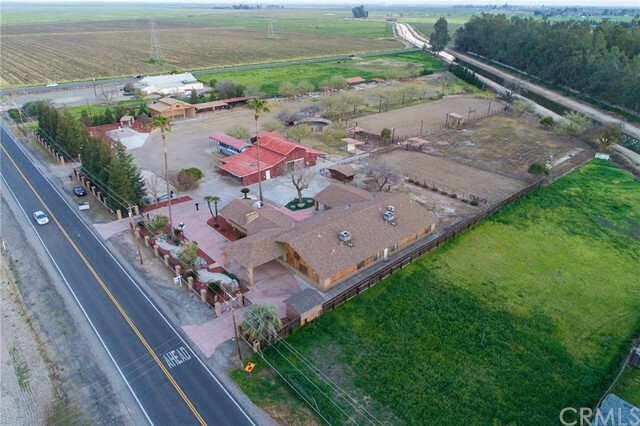 "Unique property in rural Madera, 4.32 acres with split zoning CRM and RRS in rural Madera County. Previous country store not in use with attached residential dwelling plus detached rental home 3/1. Several outbuildings. Property requires prior approval from County Planning for permit to operate. Dwellings require extensive renovation and repair. List of permitted uses are available. Call for more details." "COOOOOME AND GET IT!!!! That Chuck wagon dinner bell can ring loud and proud to call all the family in. Get the in-laws you stuck out in the 5th wheel with the RV hook ups to bring the drinks(yes, there is septic hook ups too!). Get the Hubby called in from fixin' fence in one of the 4 fenced pastures. Holler at the kids again because they didn't listen the first time; One needs to put the horses away in the 6 stall Masterbarn, the other needs to put the feed away in Tackroom/ Hay Storage, and hopefully you have one more kid to disk the arena! 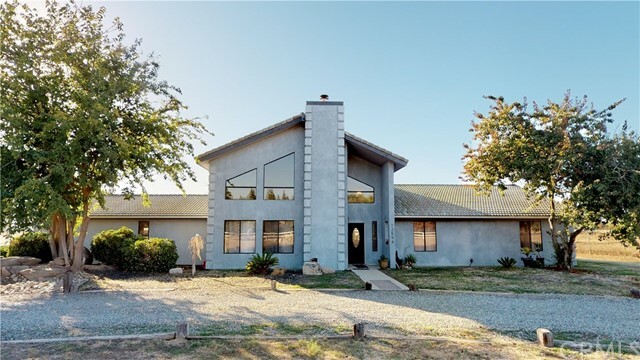 Best parts about this little Ranch is; the 19 acres is ALL USABLE, the home has 4 bd/ 2ba with a nice covered porch to enjoy the cool breeze and look over your land, and an easy commute to Hwy 41 or Hwy 99. Come on, Make your MOVE! Buyer to verify bedrooms and square footage if concerned." "Large home on corner lot with pool, spa, 4 bedrooms, 3.5 baths, game room or man cave. Take a look, you will fall in love with this one!" "Custom home situated on a corner lot in the Woodlands Subdivision... Open floor plan , high ceilings, great room w/corner fireplace, hardwood floors,.formal dining room, spacious kitchen features granite counters, breakfast bar, dual dish washers, double ovens, microwave, built-in refrigerator, cherry wood cabinets. Casual eating area and sitting area in master bedroom over looks the beautiful rock water fall, pebble, salt water pool. Thru out the home you will find beautiful Cherry wood cabinets, shutters, ceiling treatment, ceiling fans, three full bathrooms. One bedroom and bathroom is isolated. 3-car tandem garage." 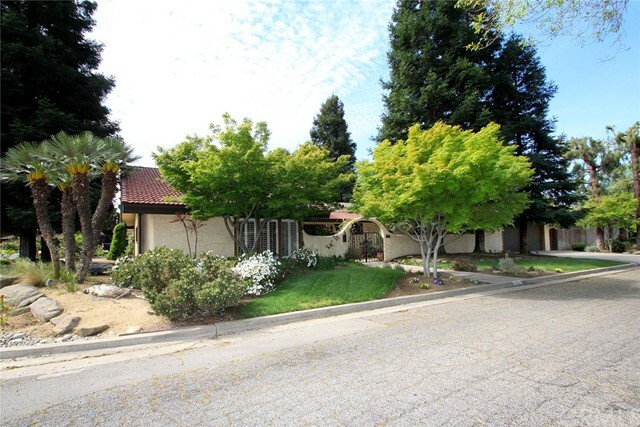 "Rare gem in the Madera Acres. 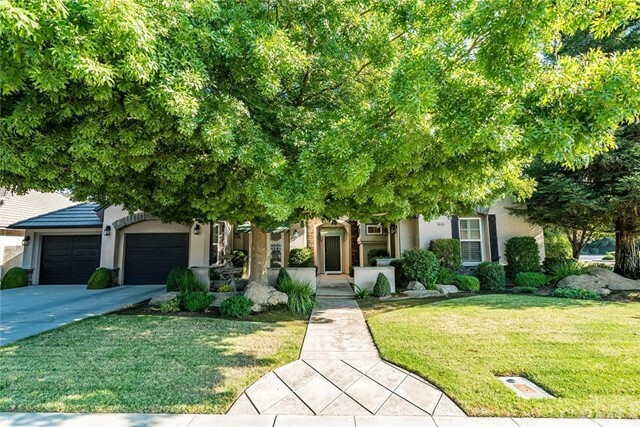 This beauty features a large living space with 4 bedrooms and 3 bathrooms. The master bedroom has a very large closet, the 4th bedroom is separated and can be used as a guest bedroom. The large kitchen has a beautiful skylight over the stove, lots of storage and a large pantry. The backyard is beautifully landscaped and you will love the pebble tech pool. To the right of the pool is a separate building that is over 1,400 sq/ft, which 600 sq/ft of it is living space( game room) that includes a large open space, wet bar and full bathroom. The rest is a finished additional garage, storage or work area - you decide!" 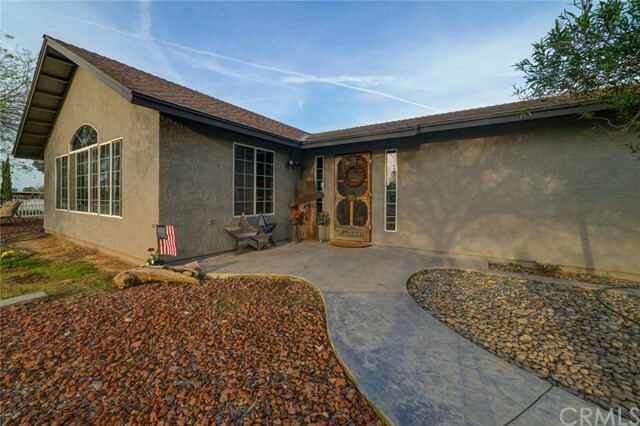 "Gorgeous Country Home: 5 Bedrooms 3 Baths located in the Bonadelle Ranchos Area. Home features vaulted custom living room ceilings. Kitchen has granite counter tops, with stainless steel appliances. Rooms are all very spacious with ceiling fans. Master bedrooms offers walk in closets, large separate tub, shower and dual sinks. Balcony off the Master Bedroom also offers great views. 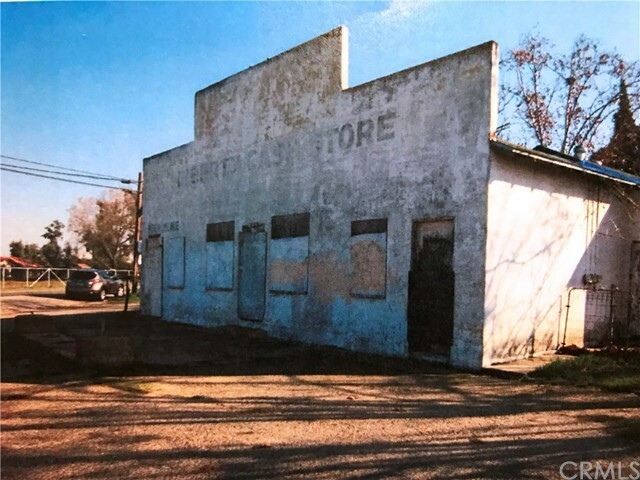 Situated in 2.23 Acres, it includes large 24X60 detached shop and more than enough room for any extra toys you may want to park. Zoned for Horses." 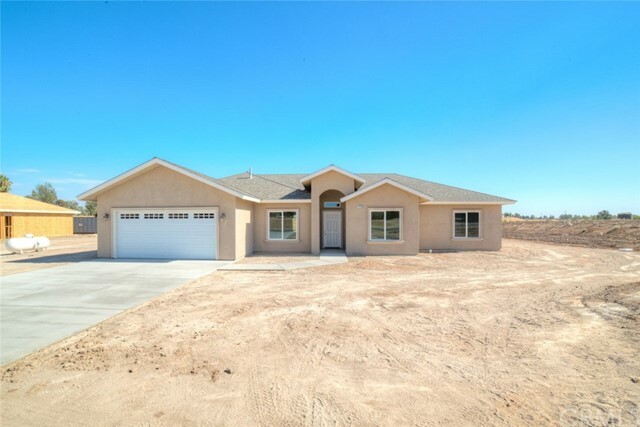 "New home coming soon in Madera Bonadelle Ranchos. 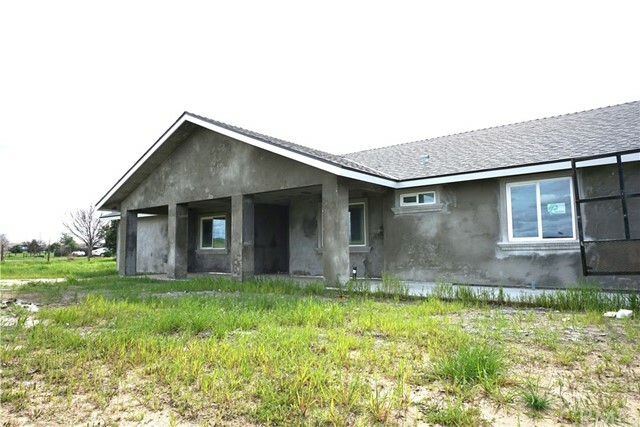 This semi-custom home will feature 4 bedrooms and 2 1/2 bathrooms, 2100 sq. ft. The formal entry will lead you into the family room which features vaulted ceiling and open floor plan. The kitchen will feature granite counter tops, custom cabinets, stainless-steal appliances, skylight, pantry and a breakfast bar. Large covered patio. Double door entry into the master suite with large walk in closet. Indoor laundry with 1/2 bath. Over sized 2 car garage with with option for 2 car detached garage. 20 inch tile, 6 inch base boards, whole house ceiling fan, tank-less water heater, energy star appliances and 14+Seer AC unit. Private water well with storage tank. Upgrades and other options available, call today for more information." "New Construction by Build To Sell Inc!! 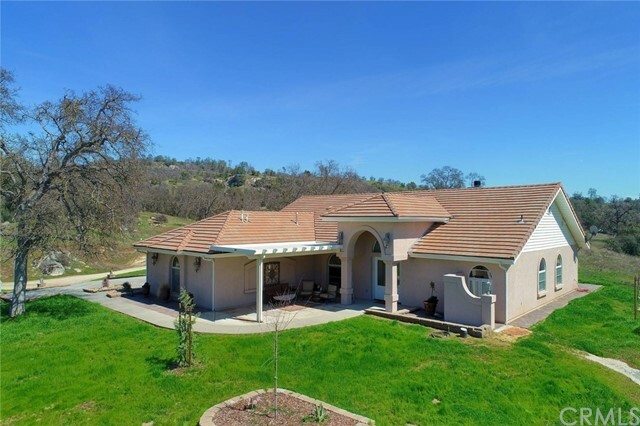 !Super nice home sitting on excess of 2 acres over looking the sierras, off of hiwy 145. This home comes with granite counter tops, all modern colors scheme through out, formal dinning room, upscale master bath, stainless steel appliances, covered patio, did I mention brand new??? Hurry should be done in the next few weeks!!!" "Stunning, brand new construction home with 4 bedrooms and 3 baths. The great room opens to the kitchen and dining. The kitchen boasts shaker cabinets, granite counters, a breakfast bar with bar sink, stainless steel appliances and includes a large pantry area. The spacious owner's suite includes a huge walk-in closet, dual vanity and large walk-in shower with custom tile design. There's also an isolated bedroom with private entrance and access to a full bath. Plenty of room to roam on 2.3 acres, horses and other large livestock permitted or just enjoy the room for all your recreational toys! ***Model home pictured." "This property is a timeless classic with three living rooms to accommodate multi-generational families or a homeowner who loves space for entertaining. Private accommodations with separate kitchen, living and bathroom for dual and living arrangements. That's right, 2 kitchens, both kitchens have granite throughout and all new top brand appliances that will more than be just eye candy to the family chef. Seller will pay transferable solar fee with an acceptable offer. This home was carefully designed and for individuals who appreciate traditional looks with modern charm. Contact your favorite realtor for a viewing you will enjoy!" "The Crestwood floorplan features 4 bedroom, 2.5 baths, with the Owner's Suite downstairs. Perfectly situated in the Riverstone master plan. Homeowners have access to the Lodge, which houses a pool, fitness center, demonstration kitchen and more. There are also several parks and walking trails located within the community." "Unique Carmel inspired home on a corner lot. Mediterranean flair abounds throughout the tranquil outdoor living spaces, combined with a relaxing spa, creating a calm, rejuvenating retreat and a wonderful place to entertain. Boasting over 3000 sq ft this home offers a custom double door entry, expansive 15 ft ceilings, unique artistic touches throughout features custom lighting, hand troweled walls, stacked slate foyer wall and fireplace, metallic tiles in bath, metallic paint touches in baths and living spaces, custom hardwood ceiling and floor in hallways, mosaic glass windows just to name a few. A graceful formal dining room, separate formal living room and family room with gas fireplace and bar sink, kitchen with Jen-Air stove, double ovens, and newly installed granite counters, backsplash, updated cabinets, and lots of storage and dining area. Three very spacious bedrooms you won't see in newer homes, two and half baths. Huge laundry room with plenty of storage easily converts to office if you choose to use the laundry hook-ups in the 3 car tandem garage. Two A/C units. Leased solar, pay only usage, no monthly lease fee, per seller." "Immaculate custom home located in Montecito Park gated community located right across from the park! This home has been meticulously cared for and is a showplace. Included in the home is a separate living and family rooms, a gourmet kitchen with double oven and all stainless steel appliances, ornate ceiling treatments, tile counter and flooring, ceiling fans throughout, a master suite with a jacuzzi tub in the master bathroom and a huge walk in closet, a finished 3 car garage with storage cabinets, a huge covered patio complete with ceiling fans, block wall fencing in the back yard, and much much more. This home is gorgeous from top to bottom and you will not be disappointed!" "Country living at it's best! This property is sure to impress from the moment you walk up to it! This home features a large open area including entry, living room, dining area and kitchen! The ambience and colors are surely to impress! A new well pump was installed just 3 years ago with a pump saver to ensure you never run out of water. An entertainer's dream in the back with an open bar area that has been newly remodeled and painted by the current owner, and a large shop that was once used as a pet grooming business that could potentially be setup as a studio setup! The 2nd acre is fenced off and ready to be used for farm animals or anything else you may choose to do! Call your Realtor for your private tour today!" 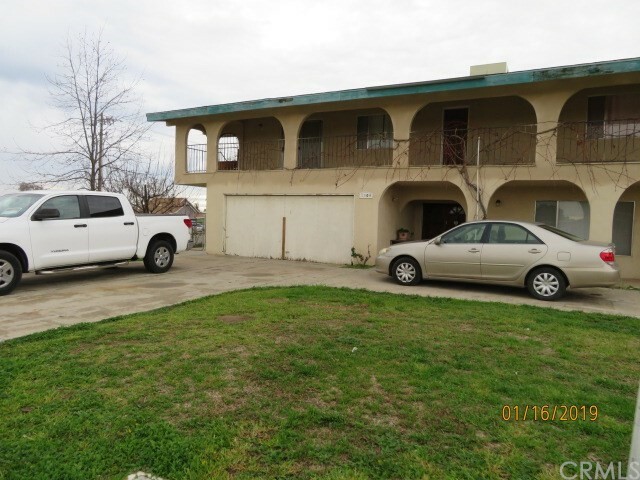 "Great opportunity to own two homes on one city lot. Live in front house and rent back home. The front house has tile throughout, newer cabinets, and additional bedrooms in basement. The rear home has alley access and parking." "New home coming soon. This semi-custom home will feature 4 bedrooms with ceiling fans, 3 full size restrooms and a large 3 car (finished) garage. 4th bedroom will be a second suite or in-law set up with its own full size restroom. 9ft ceilings throughout. The spacious kitchen will feature tile flooring, granite counter tops and a breakfast bar. 14 Seer AC Unit, tank-less water heater, new well, water storage tank and more. Large covered front porch and rear covered patio for entertaining. Some options and upgrades not available, photos are of other homes, call today for more information." 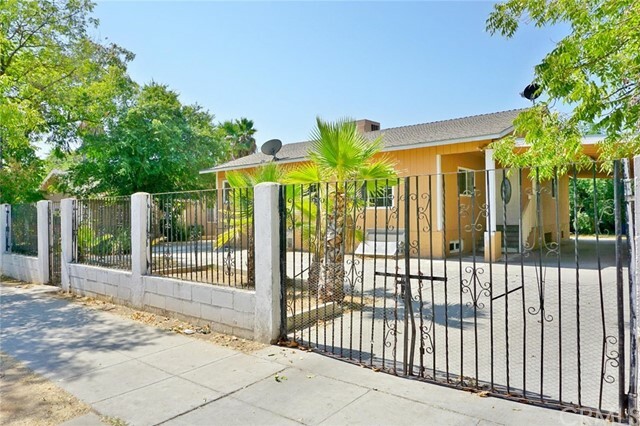 "This home has been redesigned and remodeled with the upmost attention to detail. 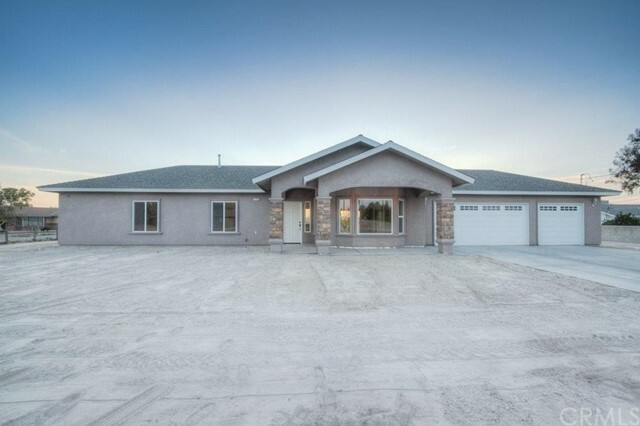 The home features 2098 SQ Ft of living space with 4 bedrooms, 2 bathrooms, formal dining, living room, laundry room, large patio and a 2 car garage. 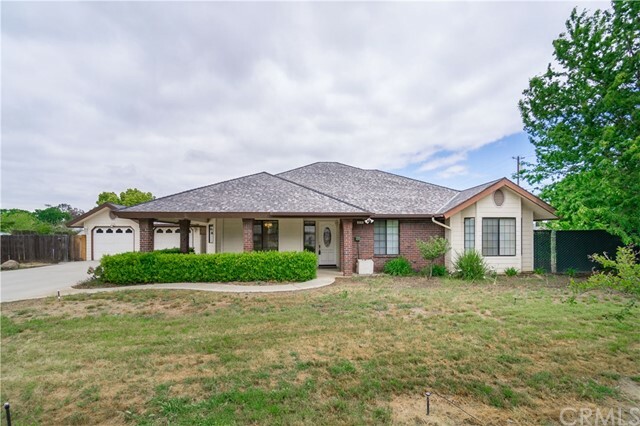 The home has been upgraded with all new energy efficient windows, doors and trim, mechanical system, electrical system, plumbing system, insulation, appliances, electrical fixtures, plumbing fixtures and much more. The home features knotty alder custom cabinets, granite countertops, under-mount sinks, 20 x 20 porcelain tile throughout the living space, commercial grade laminate flooring in the bedrooms, custom tile showers, jetted tub in master bedroom, hand wall texture and crown molding throughout, stainless steel appliances, LED lighting, custom electrical fixtures and a gas burning fireplace in the living room. 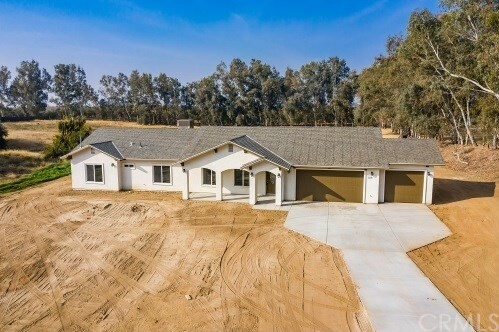 Enjoy country living within a 5 minute drive to town and with endless recreational destinations nearby such as Hensley Lake, Millerton Lake, Yosemite National Park and much more. This home sits on 1.7 acres of level land and features low maintenance, water efficient landscaping." "You will love this magnificent home and you won't find another one like it! 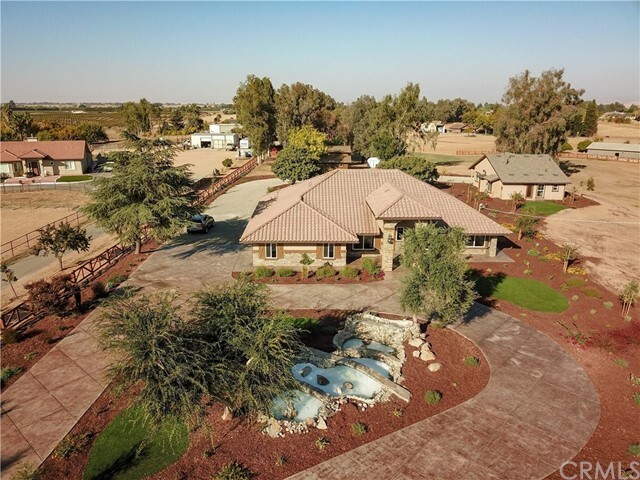 Built in 2005 by the owner himself, this immaculate custom home sits on a fully fenced 2.25-acre lot with plenty of room for animals, a shop or even a pool for summer fun! Boasting over 2100 sq/ft, the floor plan is amazing and feels just like home. Step inside to enjoy the open feel of a large living room, a formal dining room plus a bonus room that could easily be a 4th bedroom. The kitchen is a dream with loads of counter space and oak cabinets, gas cook top, and a great breakfast bar. Inside laundry room is exceptionally large with a pantry closet for all your extras. New carpet was just installed and the interior has been freshly painted and cleaned to perfection. 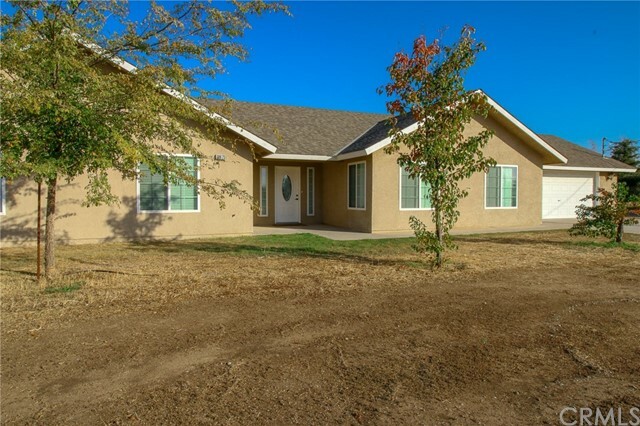 Enjoy the peaceful serenity of country living in this spectacular custom Ranchos home!" 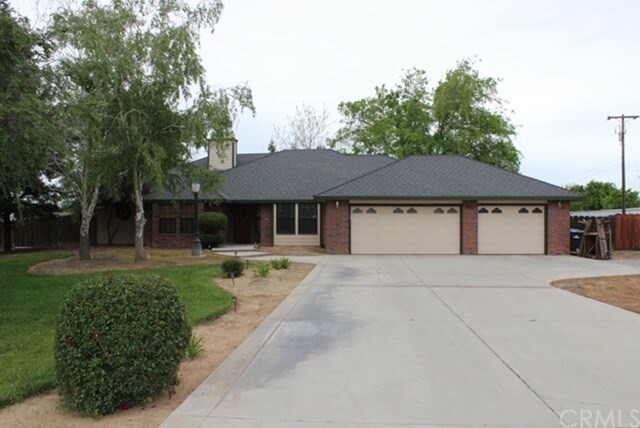 "Charming custom home on half acre lot in convenient location in the Ranchos! Inviting front porch welcomes you in to enjoy the custom features of this home. Home has open feeling with many unique ceiling treatments and lots of windows. Floor plan features sunny kitchen with new appliances, large great room with vaulted ceiling, casual eating area as well as formal dining, spacious master suite with two closets, shower & tub, and double sinks, two other good sized bedrooms, laundry room and office (office not included in square footage). Home has lots of storage throughout with built-in cabinets in many rooms. Large covered patio in back and mature landscaping provides a great place for entertaining or just relaxing. Located on a corner lot with room for RV parking - walking distance to Liberty High. Must see to appreciate!"